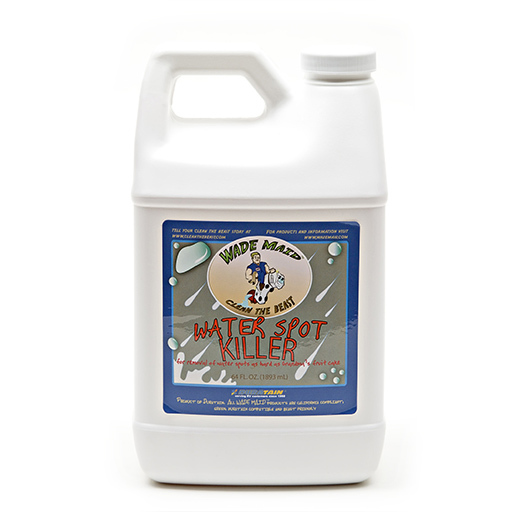 Water Spot Killer was formulated to easily remove the spots on the surface of your RV caused by the alkaline and minerals in water. What Does Water Spot Killer Do? Water Spot Killer’s Gelatin Emulsion was created to be just thick enough not to run off of the surface of your paint or glass while cleaning. Since Water Spot Killer coats and clings to the surface of your Beast it stays in place until all of the water spots are removed without rubbing! Wash your RV with Beast Wash before using Water Spot Killer to remove silicone, wax and environmental build up. This allows the formula to penetrate the spots more effectively which saves you time and product. Before using Water Spot Killer make sure that the surface of your Beast is cool to the touch. Work the product from the bottom to the top of your RV. Keep the product moving in the area that you are cleaning until the water spots are dissolved. Rinse with water when done. Since Water Spot Killer cleans spots caused by calcium it can damage your finger nails. To be safe wear an apron, gloves and goggles when you use it. Don’t use Water Spot Killer as a spray or allow it to dry on the surface. Do not use on mirrors. Apply with a soft cloth or mop. What Makes Water Spot Killer Different? Water Spot Killer allows you to clean your RV with professional results saving you time and money. 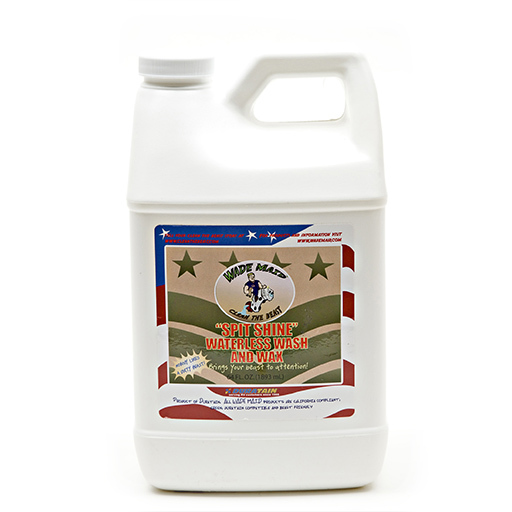 Our formula dissolves water spots without scrubbing! 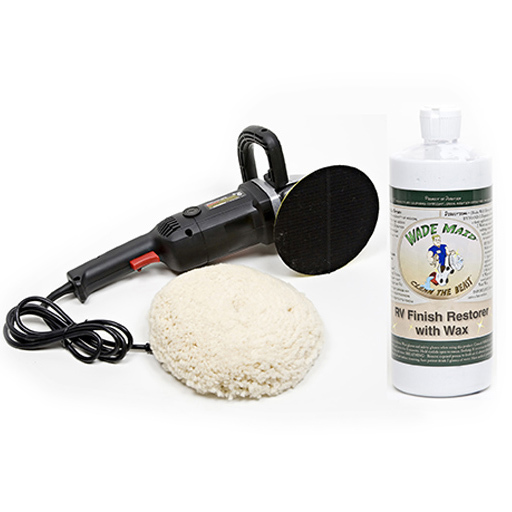 t safely removes water spots from, paint, gel coat, chrome and glass **EXCEPT GLASS WITH MIRRORED FLOW TINT- Ask Wade if you need help AskWade@wademaid.com**.